Home » Breakout / Breakdown » Gold Bull Market To Start In 2018? Will gold enter a bull market in 2018? The likely answer is “yes, a gold bull market is likely to start in 2018” even if our gold price forecast 2018 which we wrote many months ago was rather bearish. It is OK to change your opinion or a prediction over time. As more data points become apparent, and as chart patterns and chart trends evolve, it makes perfect sense to not rigidly stick to a previous prediction. As said already a couple of times we are switching our stance against gold because the market environment is changing, and because gold held strong at its important $1225 level. The likely path is, as per our latest gold article, that gold will trade sideways for a while. However, we anticipate it will be maximum a couple of months, and maybe around summer time in 2018 a new gold bull market may start. The gold chart below makes our point. Gold bull market in 2018? Likely, yes! Traditionally, the rounding bottom pattern is bullish. It has a 65% probability of a bullish breakout. The long consolidation of 4.5 years is even increasing the odds. However, it the price of gold breaks down (below the rounding bottom) it will be strongly bearish! We will find out sooner rather than later. From an intermarket perspective we observe all trends moving in the same direction: “risk on” and inflationary. That is a great market environment for gold to thrive. Back in 2004 till 2007, as well as 2010 / 2011, we saw the same market conditions. Gold did extremely well in those periods of time. This is another great case of taking financial mainstream media articles for what they are: articles. 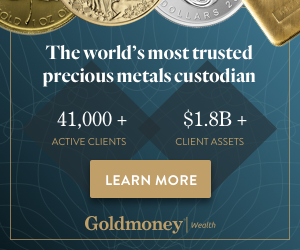 According to this MarketWatch gold article gold thrives during inflationary times. Though their timeframe is ultra short, and those type of correlations do NOT work on such small timeframes, it is inflation with “risk on” that is a great environment for gold.